Certification – To oversee the certification programs CAREC and Gold Seal. Data Collection – To ensure OARA Member data is protected and managed for the benefit of OARA and its Members. Government Affairs – To research and coordinate the government affairs activities, both proactive and reactive, for the industry. Health & Safety Committee – To investigate and research developments relating to health and safety issues that OARA Members are faced with. Meetings Committee – To assist in the development and planning of all OARA Member Meetings. Membership – To review and provide recommendations on: membership applications for new members; membership application criteria and process; membership discipline; and membership dues. Member Benefits – To collect data and to find suppliers and costs on products and services for Direct Members. Parts Procurement – To provide input in to the various parts procurement programs emerging in the industry and to lead OARA Member efforts in good quality Green Recycled Parts available to more estimates. 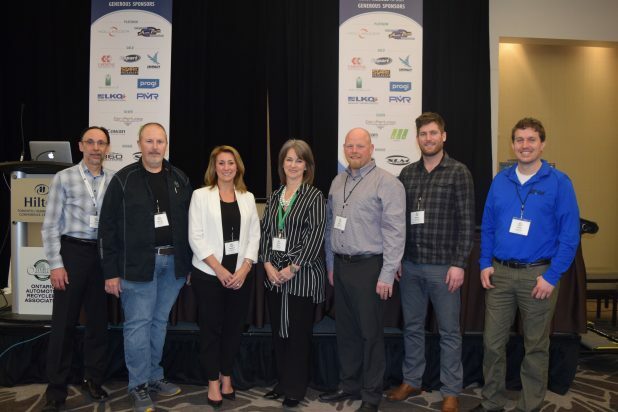 Transportation – To address industry wide issues relating to shipping and transportation of parts and vehicles by OARA Members. Budget and Audit (standing) – To assist in the development of annual budgets, review expenses against budget, prepare & execute an audit of OARA’s financial activities, and review OARA’s accounting and bookkeeping policies and procedures.